Figure-sculpting skinnies in a perfectly whiskered blue wash are ideal for showing off your fabulous footwear. 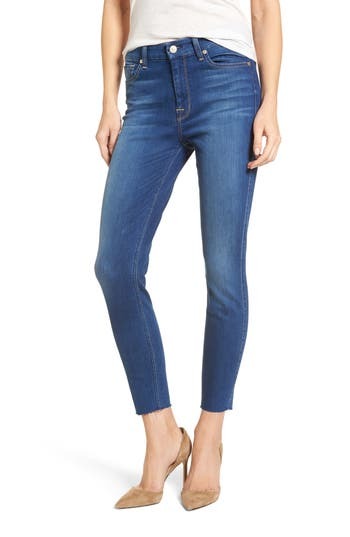 Style Name:7 For All Mankind High Waist Ankle Skinny Jeans (Manhattan). Style Number: 5510690. Available in stores.